The SkillShot is built for action! 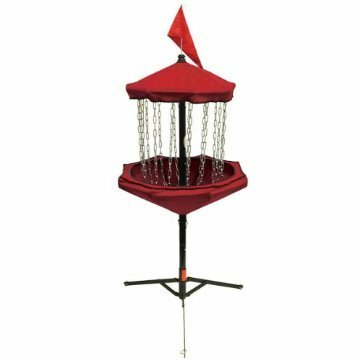 Weighing in at a very portable 26 pounds, and folding to the size of a golf umbrella, the SkillShot is the most portable basket in disc golf. It even comes with a flag for reading the wind and its very own carry case.